With 6 million acres to tour, here are some wonderful places to energize and enjoy your personal palette. The Adirondacks is filled with cafes, snack bars, grocery stores, Adirondack restaurants of all kinds and gourmet dining. 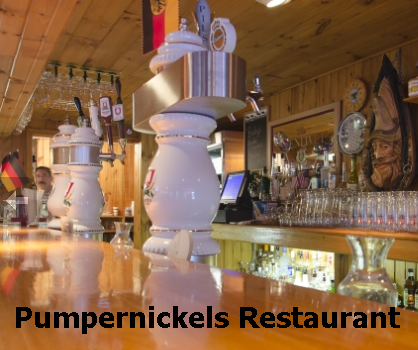 Whatever your flavor, you'll find it here with 100's of places to eat in the Adirondacks. Call them before visiting, please! Reservations or season openings may occur. Restaurateurs: If you have a restaurant/diner/cafe or other location you'd like to share with our visitors, please e-mail us and we'll post (FREE). We appreciate reciprocal links! Staying home and cooking in? Check out our Adirondack Recipe section and share your creative dish. Also, we've started a collection of cooking videos from YouTube. Well done, worth a visit. Lastly, check out our Beer trail directory (click ). We hope to bring you more as they are produced. Please patronized our businesses. Listings posted with an are "Facebook" friendly. Mad River Tavern & Pizzo Co.
Have you got a restaurant to add?